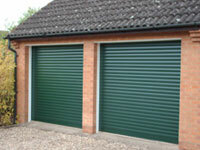 SeceuroGlide Classic manufactured from tough twin-walled aluminium slats with an insulating core. 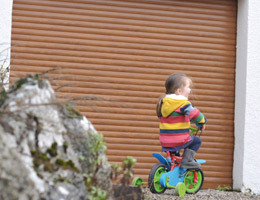 With remote control as standard, our range of automatic roller garage doors combines the convenience of power operation with smooth, vertical opening and the benefits of insulation to provide the perfect solution for any garage. Door slats are constructed from high grade corrosion resistant aluminium with a CFC free foam core for thermal insulation and noise reduction. 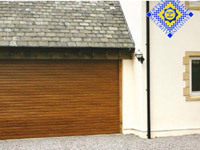 All our garage roller doors are made-to-measure to meet your requirements and garage size opening and are fully CE marked so you can be assured of their quality and come with a 7 year motor warranty. 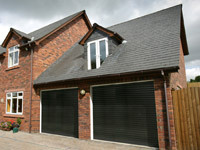 Since launching as the first insulated roller garage doors, SeceuroGlide has maintained its position as market leader through continuous development and innovation. As well as our classic automatic SeceuroGlide Classic door our range also includes the stylish SeceuroGlide Compact door where available headroom is restricted, the SeceuroGlide Manual version, the higher security SeceuroGlide Excel and the modern horizontal closing SeceuroGlide Vertico. 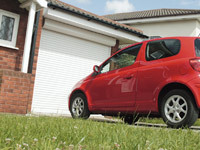 First for roller garage doors and seceuroglide Vertico sliding garage doors based Manchester covering Rochdale, Oldham, Bury, Bolton, Salford, Stockport, Wigan, Ashton, Trafford and Stretford, Middleton, Crumpsall, Blackley, Moston, Beswick, Collyhurst, Miles Platting, New Moston, Hulme, Rusholme, Harpurhey, Alkrington, Stretford, Holts, Glossop, Uppermill, Saddleworth, Greenfield, Grotton, Urmston, Sale, Altrincham, Hale, Cheadle, Hazel Grove, Denton, Audenshaw, Hyde, Dukinfield, Stalybridge, Swinton, Prestwich, Whitefield, Radcliffe, Royton, Chadderton, Failsworth, Heywood, Marple, Bredbury, Romiley, Littleborough, Wardle, Eccles, Irlam and Bramhall.